Nigel Adkins fielded the same XI which drew 0-0 with Gillingham the previous week as goals from Alex Baptiste, his first in United's colours since signing on loan from Middlesbrough, Che Adams and Billy Sharp were all on target as the Blades moved within six points of the top six. Having won the toss, United opted for the kick-off and from there the visitors took control of the game, winning a number of corners inside the first few minutes. Goals from set-pieces have been difficult to come by this season but having seeing a couple corners easily headed away from any immediate danger. But it was United's third successive corner which proved to be decisive for the travelling 2,800 supporters. Flynn's delivery into the box was flicked on by Edgar and BAPTISTE was perfectly poised to hammer the ball over the line. The hosts first venture into United's half came after the Blades had taken the lead, although they were flying visits and failed to cause Long any trouble in the United goal. Talbot latched onto Novak's cross but his effort was weak and O'Shea's 20 yard free-kick was blocked by Baptiste. Gary Liddle was the first to enter the referee's notebook after he impeded Done on 13 minutes, and within a minute had committed an identical foul on Basham but escaped any further punishment as this season's clash ended without any dismissals. United were almost put under the cosh when Long charged out of goal but despite the keeper missing the ball, any danger was cleared away from his covering defenders. Whilst Long had made a mistake without suffering any real consequences, Tommy Lee in the Blues goal would be left embarrassed on 35 minutes when his error lead to United's second goal of the afternoon. In what was a routine kick, Lee was out of position when he booted the ball mistakenly low, falling to the feet of ADAMS, whom had time to control and from all of 30 yards was handed the easiest of goals as he duly despatched into an empty net. Chesterfield left the field at half-time to the sound of boos from the home crowd, it wasn't a surprise due to the lacklustre performance. But they would have considered themselves rather fortunate to go into the break only two goals behind as United looked to see further goals to their tally as they dominated the remainder of the half. Both Flynn and Sharp saw their efforts inside the box blocked, whilst Raglan was at the right time, getting the slightest of headers as Sharp looked to pounce from Basham's cross. Flynn volleyed over the top as the first half drew to a close after the home defence failed to clear the ball. In first half stoppage time another failed clearance from Lee, much similar to Adams successive strike, but the defence managed to scamper back and clear their lines as United advanced in sight of goal. Chesterfield came into life during the opening exchanges of the second half, though this only proved to be a brief spark in play. Baptiste deflected Novak's effort as Long made a comfortable save in what overall proved to be their best opportunity of the match to score. At the other end, Flynn flicked his effort wide before United wrapped things up with a third shortly before the hour mark. From the right hand side, Basham was enjoying most of the play but his ball to Coutts saw him weave round the back of the defence, pulled the ball back to SHARP who side-footed beyond Lee's reach for his 19th tally of the season in front a jubilant away support. The hosts made their one and only change of the afternoon during the disruptions which halted play. Jordan Slew replaced Conor Dimaio as marshals attended to a flare on the pitch which had been thrown from the away fans. Six minutes later Long was forced into a rare save when he turned O'Shea's effort round the post as did Lee when he prevented Flynn from adding a fourth. Cuvelier replaced Flynn as Adkins looked to rest tired legs. Matt Done looked to have beat the keeper as his curling effort looked to have found the top corner, but instead nestled on top of the goal, and a minute later Calvert-Lewin was brought on for Adams. As the clock ticked down Woolford became the third and final substitution to be used by the Blades quota, replacing Done. But in the minutes between the latter two substitutions, Slew sliced wide with the goal at his mercy. In the final moments of the game United saw two penalty appeals turned away. Firstly after Cuvelier looked to have been tripped in the box, and after Woolford nut-megged his marker down the left saw Sharp almost find the net, Lee dramatically saved but in the process Sharp complained his shirt had been pulled, again appeals were waved away, and little more than 10 seconds later the final; whistle blew to mark the end of the game and a third consecutive clean sheet for the Blades. Chesterfield: Lee, Hird, Liddle, O'Shea, Novak, Raglan, Dimaio (Slew 60), Anderson, Banks, Talbot, Ariyibi. Unused: Ebanks-Blake, Humphreys, Donohue, Chapman, Simons, Orgel. 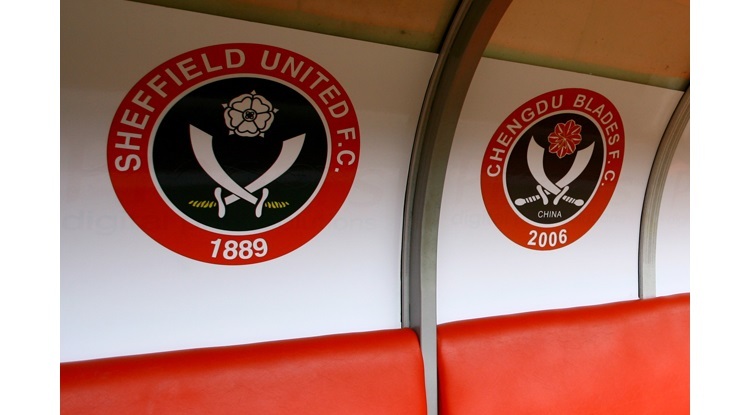 Sheffield United: Long, Basham, Flynn (Cuvelier 76), Coutts, Sharp, Done (Woolford 88), McEveley, Baptiste, Adams (Calvert-Lewin 83), Edgar. Hammond. Unused: Howard, Sammon, McGahey, Whiteman.